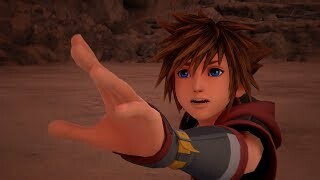 1/29/2019: Get your Keyblades ready. 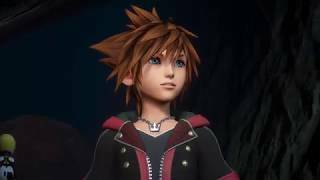 1/24/2019: As the Heartless invade the universe, players must prepare Sora and his friends to protect the Disney and Pixar worlds against darkness and unlock the mysterious power of the Keyblades. 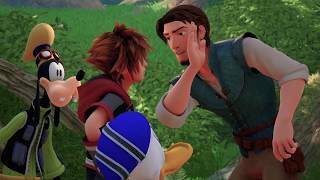 12/17/2018: As unexpected events begin to unfold in the Disney worlds at the hands of the enemy's dark ambitions, the heroic trio of Sora, Donald, and Goofy find adventures ahead - from aquatic battles in the world of Pirates of the Caribbean to dances with the townspeople in the Kingdom of Corona from Tangled. 12/10/2018: The ultimate battle for light and life comes to an epic conclusion. 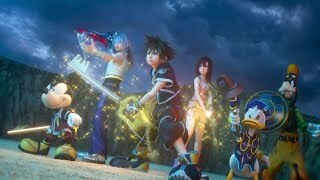 11/20/2018: As the ultimate battle for light and life comes to an epic conclusion, Sora, with the help of his loyal companions Donald and Goofy, will team up with iconic Disney and Pixar characters in an attempt to defeat the darkness and save the universe. 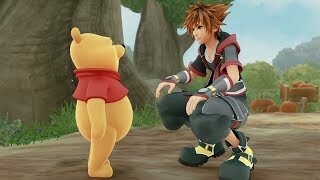 11/12/2018: Sora joins Pooh, Tigger, Piglet, Rabbit, Roo, and Owl, to help return their home in 100 Acre Wood back to normal. 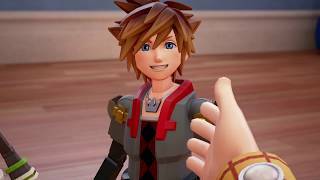 11/5/2018: As Rapunzel leaves her mysterious tower for the first time with the help of charming bandit Flynn Rider - Sora, Donald and Goofy join the pair on their adventure to the kingdom, taking on the Heartless along the way. 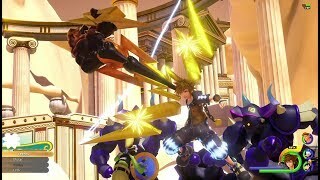 The new trailer also showcases some of the unique combat players can enjoy in the Tangled-inspired world as the team defeats the Heartless with the help of Rapunzel?s magical golden hair. 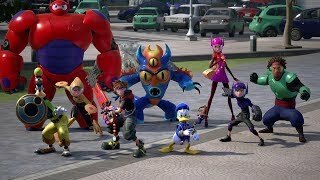 9/18/2018: Fight alongside Big Hero 6 in San Fransokyo. 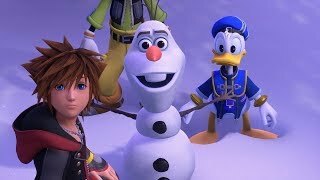 6/11/2018: Revealing the next destination on Sora, Donald, and Goofy's adventure: Frozen. 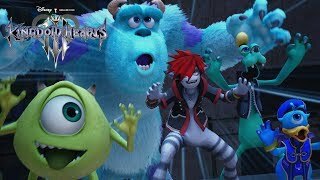 2/12/2018: Sora and his companions join forces with Mike Wazowski and James P. "Sulley" Sullivan. 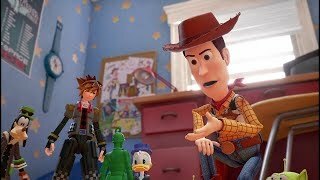 7/17/2017: Sora, Donald Duck, and Goofy travel to Andy's room to help Woody and Buzz Lightyear investigate the disappearance of their fellow toys and Andy. 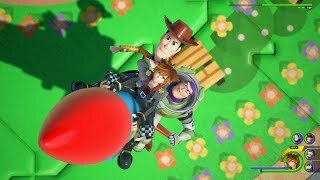 6/12/2017: Sora, Donald, and Goofy help Hercules battle various forms of Heartless on Mount Olympus. 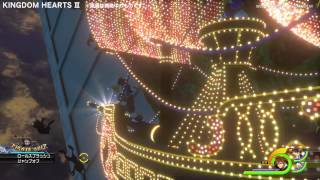 10/15/2013: Featuring new abilities, attacks, and enemies from the game.